San Francisco – A fascinating though largely forgotten figure in the Bay Area’s rich photographic history, Willard Worden (American, 1868–1946) took up photography while serving in the Spanish-American and Philippine-American Wars and later opened his first gallery near the Presidio in Cow Hollow. Within a few years, his stock list contained hundreds of views of his newly adopted city and its environs as well as sites as far away as Yosemite National Park. 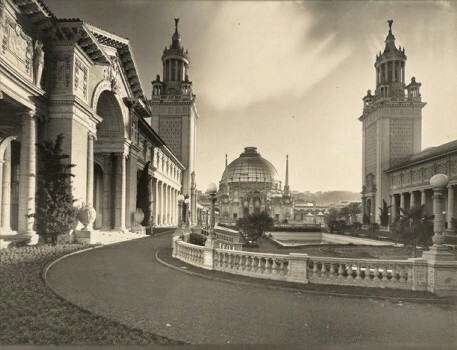 Worden was at the height of his career at the time of the Panama-Pacific International Exposition (PPIE), the 1915 world’s fair held in San Francisco. As one of the exposition’s official photographers, he captured its spectacular architectural and sculptural creations by day and night. Art from the PPIE, including approximately 250 works by major American and European artists, is the focus of the exhibition at the de Young, Jewel City: Art from San Francisco’s Panama-Pacific International Exposition, opening October 17, 2015. This entry was posted in Arts / LifeStyle / Travel and tagged Art Deco, photographs, San Francisco, Willard Worden. Bookmark the permalink.